lovely....it will be here before we know it!! 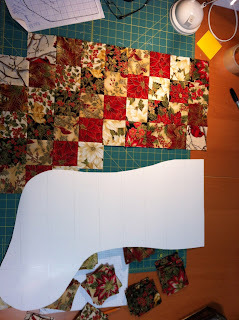 So pretty... love Christmas fabrics! 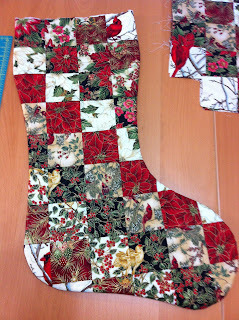 Very nice - love the shape of the stocking, Marjorie is right, the days are flying by fast! 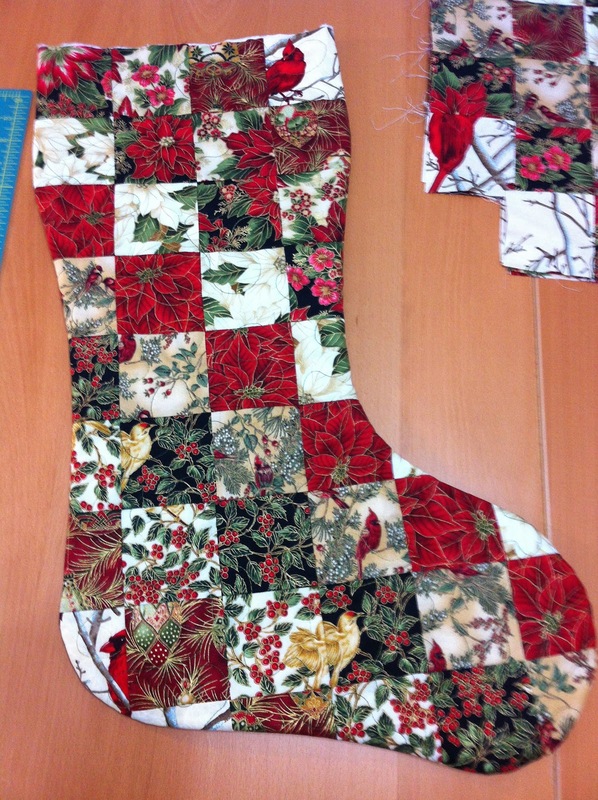 Cute stocking with all the squares. Stockings are so versatile, I love making them. Nice stockings! It's less than 100 days to Christmas at this point, and if I'm not careful, it will sneak up on me. I'm working on a small wallhanging for Christmas now. I love your Christmas stocking , great choice of fabrics !